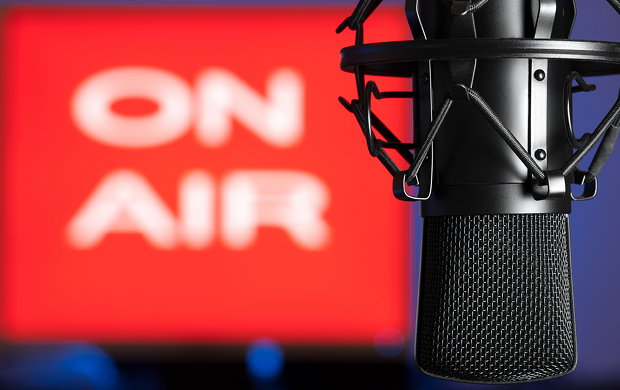 At the recent Wells Fargo Media Conference, Entercom CEO David Field answered a question about radio’s continued relevance saying there is “…a lack of respect for what radio is and has accomplished… More people listen to radio than ever before. When you aggregate all the other listening of audio, it’s still less than 10%. Radio is still over 90%.” Mr. Field makes an excellent point, and AM/FM’s share of total AM/FM and streaming audio consumption in the U.S. is probably closer to 95% than 90%. That, by anyone’s definition, is relevance. None of us can predict what the media landscape will look like in the future, but it is within our grasp to understand and act upon the media landscape as it exists today. Agencies and advertisers alike should keep an open mind and be willing to evaluate and even modify their use of radio based on the current media reality. Keeping our focus firmly planted in the present with an eye toward the future, and not vice versa, is simply a sound business proposition. Still, there’s no question that the radio industry can do a better job of communicating its value, popularity and impact in today’s America. And I would wager that part of Mr. Field’s reported frustration was not solely the “relevance” question itself — and the number of times he’s probably been asked it — but the lack of understanding, recognition and appreciation of the 2012 audio landscape. On a typical day, according to comScore’s Ratings for digital usage and RADAR for radio usage, 85% more adults ages 18-34 will engage with radio than Facebook; 100% more will engage with radio than Google Search; 215% more will engage with radio than YouTube; and 1,430% more will engage with radio than Twitter. And for older adults, ages 25-54, 130% more will engage with radio than Facebook; 135% more will engage with radio than Google Search; 400% more will engage with radio than YouTube; and 3,070% more will engage with radio than Twitter. Radio’s share of all audio listening remains dominant. The Media Behavior Institute’s 2012 USA TouchPoints data indicates that AM/FM radio accounts for 69% of all audio consumption including CDs, iPods/MP3s, Satellite and Streaming for adults ages 18-64 and 62% of adults ages 18-24. Even those using other mobile and music services still overwhelmingly listen to radio. Eighty-six percent of those using iPods/MP3 players listen to AM/FM radio each week. Eighty-one percent of satellite radio users listen to radio, and 89% of internet streaming users. In the past week, USA TouchPoints finds, 93% of the U.S. population has listened to radio, compared to 10% for satellite radio, according to Scarborough. More adults ages 18-34, 18-49 and 25-54 listen to AM/FM radio Monday through Friday from 6:00 a.m.-midnight each day than view the five major TV networks ABC, CBS, NBC, Fox or CW live or time-shifted combined. Triton Digital’s “The Future of Radio” reveals that two-thirds of adults say they would be very disappointed if their favorite radio station went away, compared to 45% who responded the same for Facebook. Radio holds 93% of its audience during commercial breaks, according to ARB 2011 findings. This data was culled from nearly 62 million commercials across 18 million commercial breaks in all 48 PPM markets. And USA TouchPoints finds that for those preparing for holiday sales, radio is by far the most powerful pre-shopping medium, reaching twice as many people during the hour prior to shopping as TV. Radio delivers 13 different media channels, as defined by Pointlogic’s Chorus channel planning tool: radio, streaming audio, personal endorsements, promotions, social (Facebook/Twitter), Online advertising (webisodes, display, rich media ads), e-mail blasts, mobile, event sponsorship, experiential brand events, sampling, podcasting and sports sponsorships. All of this can be channeled into an effective and compelling cross-platform program that generates impressive results. Finally, radio stations are vested in the communities they serve. Clear Channel Media and Entertainment, The Madison Square Garden Company and The Weinstein Company are presenting “12-12-12,” a concert for Hurricane Sandy relief. This one-night live music event will help provide assistance to the millions of people throughout the tri-state area of the East Coast who have been affected by Hurricane Sandy. This is relevance by any definition!